Westholme School has a professional 550 seat theatre. Superb lighting and technical equipment support the large, versatile stage. 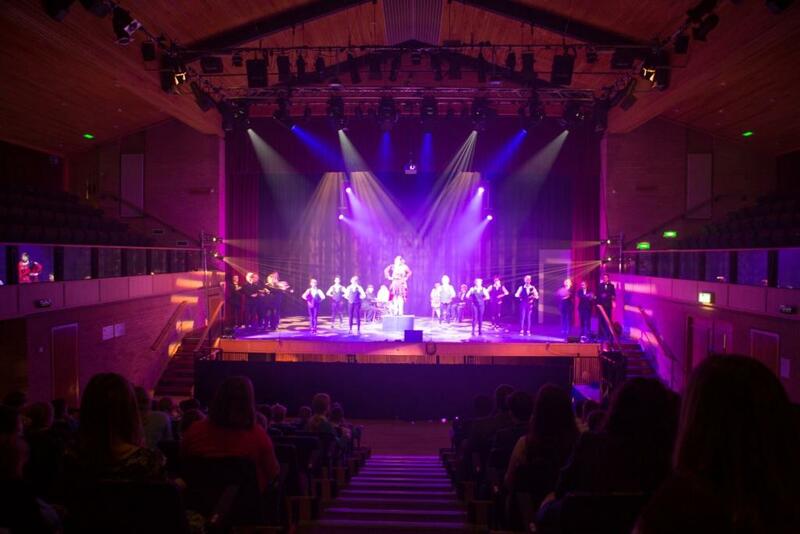 Pupils are encouraged to take to the stage during their time at Westholme, whether it is performing in our twice yearly school productions or for musical and house events. Our Theatre is equipped with a full suite of lighting, sound and projection equipment. We have 8 radio microphones, 2 handheld wireless microphones and up to 4 stand/boundary microphones of professional show standard. The theatre also boasts a mounted projector and electric dropdown screen (with optional projection onto the background cyclorama if more stage space is needed). This increases the projection capabilities from the stage or the lighting/sound gantry. Finally, over 100 mounted lights with changeable coloured gels adorn the ceiling and we have a 32 channel stereo sound desk. Anyone wishing to hire the theatre should contact Mrs Walker-Smith on walker-smithg@westholmeschool.com or telephone 01254 506070.